In STEEPS categorization, this is primarily a Political/Policy counterfactual. As with an accountability doctrine for the Gulf War, an autonomy doctrine for the Iraq War was low-probability, but we will argue it could definitely have happened with a more foresighted leadership. I think it will become more probable as time passes, as comparative political science, behavioral science, and history accumulate evidence for its effectiveness. The autonomy doctrine is concerned with the challenge of supervising elections in failed or failing states, after we have aided or spearheaded the removal of bad leadership, as we did in Iraq in 2003. America will continue to face this problem. Very often of course, those elections will not result in national stability , for a variety of complex reasons. Violence may continue to erupt, between groups with different ethnic, religious, or ideological backgrounds that disagree over who should be in power, and the values and future course of the nation. What is the best course of action when nationbuilding fails in such circumstances? An autonomy doctrine says that if you’ve made a good faith effort at nation stabilization and preservation, yet civil violence continues, and it rises above some well-publicized red line, involving a certain negotiated percentage of deaths or disabilities per year, over a negotiated number of years, the responsible course of action for modern security leaders to do is to break that nation into semi-autonomous states, each of which is run by a government whose majority, at least initially, represents each major competing group. Each state can then focus its energies on governing its own community in its own way, and channel its previous independence efforts into a diversity of local laws and institutions. These states are given controls over their own security and trade, but the original nation continues to operate a military and intelligence service to ensure peace, and immigration and emigration between states remains easy. After a period of adjustment, say ten to twenty years, each new state can vote to reunite into a central government with one or more of the other states, or vote to become its own separate nation, with its own full control over borders and defenses, as each prefers. An autonomy doctrine recognizes that people want the right to self-determination, often more than anything else. They are sometimes willing to die for the dream of autonomy, and it is unwise to stop them when they are so motivated. Many groups want the freedom to set up their own governments with their own institutions, laws, and customs. Some of those will be antithetical to American ones, but as long as those laws and customs don’t threaten global security, that shouldn’t be our concern. Muslim caliphates certainly don’t threaten global security, as long as they aren’t pursuing WMD, and as a rule, they don’t. Fundamentalist states turn backward, to their traditions, in a world where the rest of us continue to drive global security to new levels of intelligence and automation. If the Iranian majority wants to destroy their previously modern culture in 1977, or if a Taliban state in Afghanistan wants to subjugate its women to Sharia law in 2017, and women in that state go along with this, and are free to emigrate to other semi-autonomous states, I see no reason their forms of governance cannot coexist with ours. Their traditionalism may not last, but they should be free to exercise it. In world of accelerating global intelligence systems and transparency, it’s time we recognize that people need more freedom to maintain their own local cultures, as long as the world’s security and transparency remains strong. That’s the essential wisdom of the autonomy doctrine. An autonomy doctrine pressures national leaders to keep order, but not to repress their citizens in the process. History shows that whenever a leader is too repressive in an attempt to keep order, they catalyze greatly increased internal dissent. If that dissent gets too strong, outside forces may step in to remove leaders of all warring groups (accountability), and either replace them and hold new elections, or replace them and further subdivide the state and the nation (autonomy). Both potential outcomes are lose-lose games for leaders and their followers alike. So both doctrines incentivize groups within a state to work with each other, as long as their unique differences are respected. When they are not, it’s the responsibility of the security leader to redraw borders and offer local autonomy, so that each group’s rights to cultural diversity and self-determination can be protected. The Roman Empire recognized the wisdom of this doctrine, applied to the greatly different cultures they conquered and governed. They called it res publica, the creation of a commonwealth. Autonomy was its central feature. Allowing those they conquered to keep their own individual governments, while giving them the rights of citizenship, and requiring them to fight for Rome when it was under threat, was a key reason the Empire became the leaders of the Ancient World. The stabilizing power of this doctrine becomes clear when it is further applied within each state as well, when necessary. If any of the new states can’t hold its people together, above a red line of civil violence in intensity or duration, each state becomes at risk of being further divided into competing groups, right down to city level, if necessary. For citizens rights to be protected, more and different leaders must often be created. This kind of balkanization happens naturally in all countries undergoing civil war, and the semi-autonomous regions become as small as individual neighborhoods controlled by local warlords in failed states. In an autonomy doctrine, this natural process of disaggregation in response to chaos is managed, and each state is given resources to try to help them stabilize their own affairs. In each case, the cost of leadership not being able to hold their country together is that said leadership may be removed and replaced (accountability), and if that doesn’t work, their country gets split into semi-autonomous states in the republic. The US made some moves in the autonomy direction under Clinton in the Bosnian War (1992-1995). 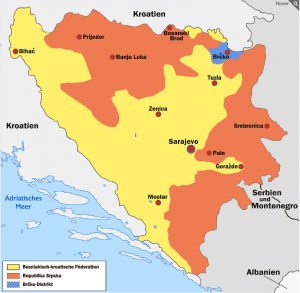 At the Dayton-Paris Accords in 1995, warring Muslim Bosniaks (44%), Orthodox Serbs (33%) and Catholic Croats (17%) were given control of separate republics and cantons in the nation of Bosnia-Herzegovina. But we never redrew the borders of this nation or neighboring Serbia, or targeted toxic leaders like Serbian president Slobodan Milosovec for immediate removal (accountability red line crossed), even with genocidal levels of violence in the Yugoslav Wars (1991-1999). While there was some discussion of accountability and war crimes, at no point was the autonomy doctrine articulated as our foreign policy. We were very reliant on our European partners in those wars, and the unpopularity of such a formal doctrine in some pacifist corners of Europe, as it involves a constructivist approach to international law, would have made it unlikely that we could have unilaterally imposed such a doctrine in that conflict. Nevertheless, we could have at least articulated an autonomy doctrine for public debate, and the Clinton administration deserves blame for failing to do so at the time. The Clinton administration also failed to articulate an accountability or autonomy doctrine during Rwanda’s civil war, though again, we were unlikely to implement an autonomy doctrine in Rwanda, as it was too peripheral to our foreign policy at the time. In my view, it was only in the Iraq War (2003-2011) that our first opportunity to both articulate and carry out a modern autonomy doctrine emerged. Put aside, for a moment, the question of whether the American populace was misled in the buildup to the Iraq war. There is clear evidence that we were, and there was no accountability for American political and business leaders who profited from this deception, but that is not the issue here. Ask yourself what you would advise our nation, once we were committed to invasion, leadership removal, transitional government, and elections, regarding our governance policies and exit strategies. It was obvious to all experienced political observers that we’d be stuck with some degree of nationbuilding, at a steep cost. What was not obvious to anyone was the exit strategy. Thomas Rick’s Fiasco: The American Military Adventure in Iraq, 2003-2005, and Charles Ferguson’s No End In Sight (2007), and the 2007 film by the same name, are just two of several great sources that makes this lack of leadership clear. I’ve set the date for this counterfactual at 2007, entering an election year, and a consequential time in this war. 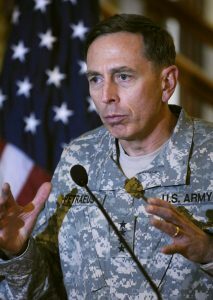 In January of 2007, we began the Iraq War troop surge of 2007, a coordinated policy that, among other changes, brought counter-insurgency expert General David Petraeus in as commander of the Multi-National Force in Iraq, and subsequent strategies and tactics substantially reduced insurgent violence for several years afterward. 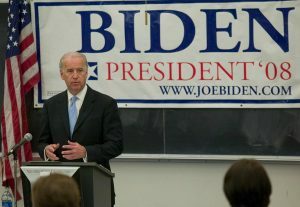 In April of 2007, as part of the buildup to his campaign for the 2008 presidential race, Senator Joe Biden began to articulate in the senate an autonomy doctrine for Iraq, involving a three-government decentralization solution, comprised of majority Shia, majority Sunni, and majority Kurd leadership. Then Biden and Leslie H. Gelb, president emeritus of the Council on Foreign Relations, co-authored an op-ed piece in the New York Times, Unity through Autonomy in Iraq, May 1, 2007, which formalized the argument, and became known as the Gelb-Biden proposal. Biden maintains that his proposal was “decentralization,” not a full “partition” Iraq. He also advocated that the central government maintain control of all oil reserves. He may feel the word partition evokes too strong an interventionist agenda on America’s part, or that it would inflame nationalist sentiment in Iraq. But I think the distinction between these terms is minor, and is certainly lost on most Americans. Most of the press called it a partition solution, as PolitiFact explains, and you can’t get three autonomous states without drawing boundaries for them, ideally boundaries that give each group fairer and more culturally homogeneous borders than their historical ones. So this was a partition proposal, regardless of his rhetoric. A three-state decentralization map for Iraq, with a road to full autonomy. Artist unknown. In a fair partition proposal, to be in effect for ten to twenty years before any referendum, the new borders of the three semi-autonomous states could give each majority group, Sunni, Shia, and Kurd, proportionate oil reserves, making it practical for these regions to each vote later for either full independence or reunification, without strong bias toward either option. Reasonably partition borders, with a process for trading land along borders if both sides agree, would keep alive the potential for independence, if desired at the end of the decade of semi-autonomy. A map of three proposed regions in an Iraq partition, Iraq (New), Kurdistan, and Shiastan, has circulated on various websites (right). This is a reasonable first effort, but if these are in fact the major oilfields in Iraq, it would be prudent to redraw the borders of Sunni Iraq (New) to include the reserves around Al Amarah, for example. Any decentralization/partition strategy would be criticized by cynics and outsiders as a way for America to divide and weaken Iraq, and get its oil on the world market at cheaper prices. There is some danger of that, but this is certainly the minor point. The main reality, for Iraqi citizens, would be each major faction would immediately gain much greater autonomy, and dedicated resources for improving their local condition. That is the “fairer deal” each group should expect, when a superpower like the US comes in to stabilize them. We are thick-skinned enough to take that criticism, too. What matters in global security is long-term results, not short-term criticisms. Such a strategy may be called Machiavellian, but it’s truly just pragmatic, and a good leader will recognize that, and convince others to judge the strategy by its outcomes. Biden’s proposal was the beginnings of an autonomy doctrine, but it was unfortunately ill-timed to coincide with the troop surge. It lost momentum just as Biden’s presidential bid did, and the surge was quite successful in the short term. But of course, we know the long-term outcome. The world got a failed government in Iraq after our departure in 2011, and the rise of ISIS. 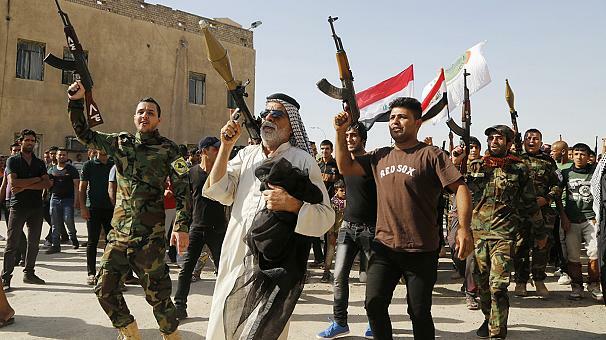 Yet the failure of the central government to stabilize Iraq was widely predicted by political veterans from the beginning, given the fierceness of power struggles among these groups. Autonomy is a real solution, but one we never had the courage or foresight to implement. Could Bush II (George W. Bush) have imposed the autonomy doctrine in 2003? Most certainly, and his team’s not seeing it over the eight years of his administration is a major foreign policy failure, in my view. I am presently inclined to give the Bush-Cheney administration a pass on some of their conduct in the early years of the Iraq war, as they were learning their way into solutions. But I think there are no excuses after 2007, as that was the year the Iraq partition solution became part of the public discourse. Even at this late date, Bush’s team could have articulated a Republican version of “decentralization” policy as a likely alternative to the surge, if it did not work. This would have shown leadership in our Iraq exit strategy, a topic Bush avoided throughout the war. Such a declared policy intention may have influenced the warring parties as well. Obama also had an opportunity to implement an autonomy doctrine in 2009. But by then Americans were too war-weary to care. Nevertheless, Obama could also have articulated the doctrine as a condition that might have to be implemented if civil violence rose too high in Iraq after our planned departure in 2011. It would have taken foresight to recognize the value of this strategy on his part, but not an unreasonable degree of foresight. In my view then, Bush II deserves blame for not stabilizing Iraq in 2003-2008, and Obama for not advocating accountability and partitioning as a key consequence if violence continued after our exit, an oversight that allowed ISIS to emerge in Iraq in 2012 and beyond. At this point we should also mention that partitioning alone is no security solution. Consider North and South Sudan, which self-partitioned into two countries based on an internal referendum in 2011. This outcome was in part sanctioned by the US, yet the partition awarded 75% of Sudan’s proven oil reserves to South Sudan, an outcome that impoverishes North Sudan. It also led to a brutal civil war in South Sudan in 2013 over the spoils of the new nation, a war that is ongoing as of this writing. As many as 300,000 people have died in this civil war so far, and there has been no accountability for the leaders, and no further subdividing of regions to reestablish order. It’s one thing to sanction a partition from the sidelines, and another entirely to get in and take responsibility for reducing the violence. Half measures won’t work, but that is what we’ve done, and so the partition has produced not one, but two failing states, and the misery continues. I’m personally convinced applying accountability and autonomy doctrines, along with growing the world’s accelerating global and regional security and intelligence capacity, are the most effective ways to end national and civil wars, both now and in the future. Applying these doctrines would certainly place more demands and stress on our leaders and our military, and it would enlarge their functions a bit as well. But I am confident we are up to the task, should we have the foresight to choose it. Finally of course, these doctrines need to be applied by countries that have a defensible interest in and commitment to each region, whether that be the US, China, Russia, or some other superpower. But if you think about it, which country does the stabilizing is a lot less important than the fact that it gets done, by someone committed to following through, over the long run. Land is less geopolitically important than ever, in a world of accelerating innovation. Some of my colleagues would disagree, and they should, I personally don’t care much whether the Ukraine or Russia runs Crimea, as long as whoever runs it ends the violence. Of course we should object to the siezure, but they do have some defensible claims, and it’s too small a piece of territory to matter much. Russia will eventually turn democratic, whether it wants to or not, as its citizens get digitally empowered. But when the violence and misery aren’t stopped, in any poorly governed state, the blame belongs to all of us who could have done something about it. In the bigger picture, because of accelerating processes of planetary development, even as each local region seeks its own diversity and autonomy, the world’s leading superpowers are becoming inevitably more culturally and ideologically homogenous. We seem headed for something far bigger than human politics, as discussed in Chapter 7 (Acceleration) and Chapter 11 (Evo Devo Foresight) of this Guide. By the end of the 21st century, I think the outlines of our vastly more intelligent postbiological future will be obvious to everyone. Meanwhile, we do what we can, with the tools and foresight we have today.